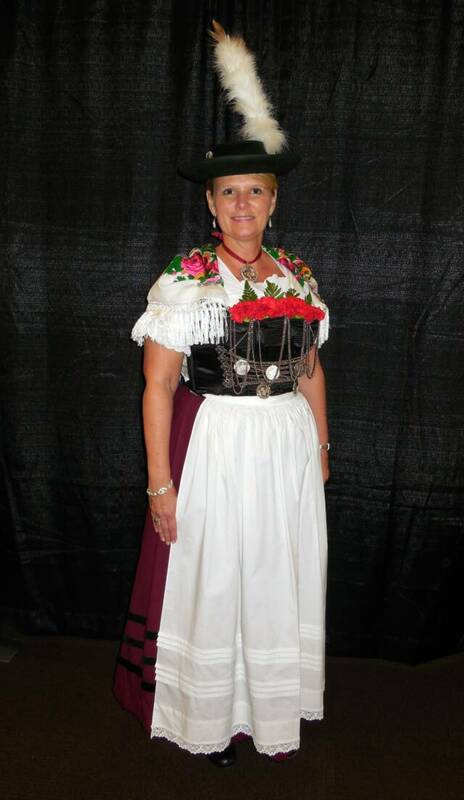 The German Heritage Cultural Fest brings Germany to St. Louis in the Grand Hall of the Missouri History Museum on Sunday, January 25, 2015 between 11am and 4 pm with an entire day of free events for everyone in the family. At 11am the Schuhplattler Dance Group will perform, with an encore again at noon. At 12:30 Harry Wolf will demonstrate the Alpenhorn and various other antique German instruments. At 2 pm a concert by the St. Louis Liederkranz (the oldest west of the Mississippi) will fill the hall with the sound of music. There will be an information table with all the German organizations in St. Louis, and book signing (from 2-4pm) of Utopia–Revisiting a German State in America by Dorris Keeven-Franke. The Muss i denn desk will be open between noon and 4pm in the Utopia Gallery for those wanting to book a relocation (for their object) to Germany! Outside, see Benjamin and Andrew with the Boßel leagues that are demonstrating and forming near the Utopia Container. There will be German Family Craft Acitivities from 12:30-3:30 in the Schnucks Classroom. At 1pm the Saint Charles German Heritage Club will present German Clothing through the Ages sharing traditional and contemporary German dress, and at 2:30 pm The Indelible Influence of the Germans by Dr. Gerald Perschbacher will be presented in the AT&T Room. For more information or for information on the Utopia exhibit, visit the Missouri History Museum website. The entire event is free. Feel free to share this and bring a friend! Sunday morning (church time) is not a good time for events. I hope that the translation of Gert Goebel’s book, which includes his chapters on the Giessen Society of which he was a part, is now available in the museum shop. Events really start at noon. The Gift shop has your suggestion Ed. Thank you!